BBC Radio 4 - The Briefing Room, Can you win a trade war? 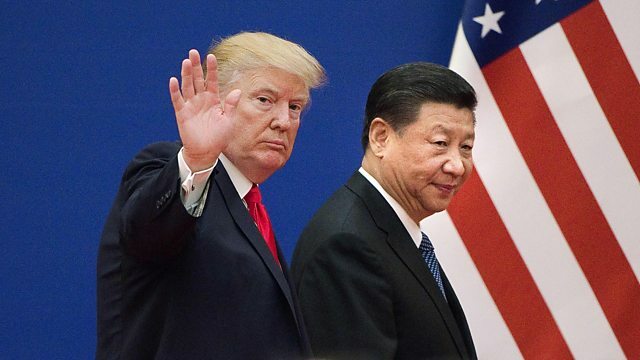 America and China have threatened to raise tariffs on goods traded between the two countries, prompting fears of a global trade war. But what is a trade war and can you win one? According to US President Donald Trump "trade wars aren't so bad". Recently his government surprised the world by announcing unexpected big increases in import taxes - or tariffs - on steel and aluminium. Mr Trump believes that this is one way to do something about America's huge trade deficit, which he says stems from the nation being "taken advantage of" by other countries for decades. The US also threatened tariff increases on a huge range of other products, including many from China. The Chinese government responded in kind, raising tariffs on American imports of everything from cars to ginseng. The row has deeply worried many politicians and business leaders across the world: could this be the start of a new trade war? But what exactly is a trade war - and is it possible to win one? And what are the implications for the UK if the dispute between the US and China escalates? Dr Marc-William Palen, historian at the University of Exeter and author of The 'Conspiracy' of Free Trade. Chad Bown, Peterson Institute for International Economics in Washington DC and former White House senior economist. Dr Jue Wang is an expert on the Chinese economy based at the University of Leiden in the Netherlands and an associate fellow on the Asia-Pacific Programme at Chatham House. David Aaronovitch asks what Britain has to gain from China's Belt and Road Initiative. Is President Xi Jinping China's most powerful leader since Chairman Mao? Can President Trump deliver on his promise to bring back outsourced manufacturing jobs?